AutoMate’s Harrison Boudakin highlights some of the standout models and key trends from what is arguably the most important motor show on the automotive calendar. If the headline acts at this year’s Geneva International Motor Show (GIMS) told us one thing, it’s that the stage is being set for the most extraordinary period of change that the automotive industry has ever seen. For years, we have been hearing about how ‘tomorrow’s’ mobility revolution will reshape the car as we know it. 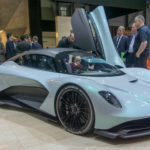 In 2019, however, Geneva proved that behind the scenes, this change has already come. Held annually for more than century on the shores of Lac Léman, the GIMS is always a hot-bed for expensive metal and audacious future supercar concepts. On that score, GIMS 2019 did not disappoint – but it was also so much more than that. Put simply, even the most casual observer would agree that the shift towards electrification was palpable at this year’s show. All but a few outlier manufacturers were talking EV tech in a big way, and it was impossible not to encounter big brands with big plans to revolutionise how they do business. One of the most striking and consequential launches at this year’s event was the Polestar 2, the first mainstream offering from Volvo’s brand-new, all-electric sub-brand. Polestar’s first car, the 1, launched as a sporty coupe concept last year, designed as a sort of low volume special to broadcast the Polestar brand to the world. With the 2, on the other hand, the Swedes are aiming right at the mainstream heart of Tesla’s Model 3, with pricing, performance and dimensions that will put the heat on Elon’s electric wunderkind. 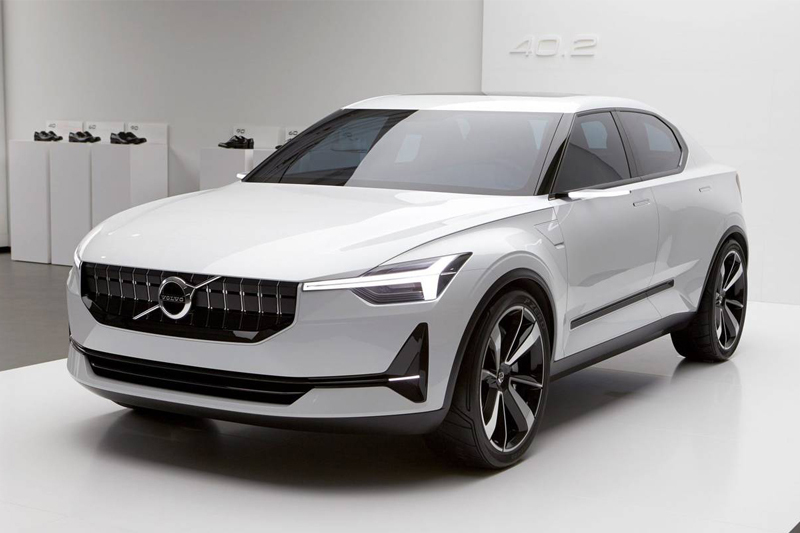 If Polestar succeeds with this car, it will do so because it has a product that is as distinctive as it is in tune with the sorts of customers who might find a Tesla appealing, but are put off by the American brand’s reputation for under-delivering on quality and the richness of interior fittings. The crucial factor will be pricing. At this stage, Polestar claims a ‘guide price’ of around £34,200 for the base model, rising to £51,000 for the fully-specified Launch Edition. Just like all other Polestar models, sales will be online only – but if the company can keep that price in check and deliver on its range ‘target’ of 311 miles, chances are we’ll be hearing a lot more about this electric, 420hp family fastback in the next few years. EV talk also dominated conversations amongst the French brands, whose small cars have come to define the British hatchback market over the last decade or so. Peugeot’s all new 208 was – from a design standpoint at least – one of the absolute successes of the show. Not since the early-90s has the brand produced such a well-rounded and aesthetically pleasing product. Technically, though, it’s Peugeot’s decision to launch the car with a range of petrol, diesel and electric powertrains, which cemented the seriousness of its EV intentions. Thanks to a 50kWh battery, the electric 208 sports a range of up to 211 miles, and will charge from empty to 80% in only 30 minutes. 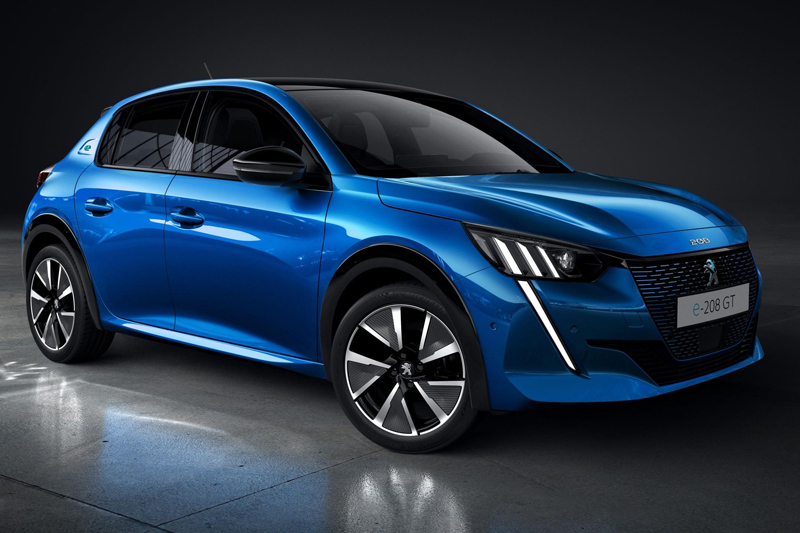 Crucially, Peugeot won’t greatly differentiate the style of its conventionally and electrically-powered models; the company believes that EVs will simply become a natural part of its existing range, and that customers of today’s ICE models will more easily make the transition to electric if there’s no ‘style-anxiety’, which is probably correct. Also rather successful on the style-ledger was Renault’s new Clio, which will become the company’s first hybrid model in 2020. Known as the E-tech, it will use an 89bhp petrol engine mated to a 40bhp electric motor and 1.2kWh battery. The brand claims it will drive ‘just like an EV’ – a point reinforced by the fact that the E-tech will be 70% electrically powered in city driving. The most important point, though, is that as cars with such immense popular potential, both the Renault and the Peugeot have a chance to really spearhead the electric push at the lower end of the automotive price-chain, and they have to, given that their manufacturers must now achieve a 95g/km fleet emissions average by 2021/22. If nothing else, the need to meet that figure – or otherwise risk billions in fines – is the driving force behind the sudden, intense momentum behind electrification in these smaller-type vehicles. Put simply, their big sales numbers mean that manufacturers will struggle to bring their fleet average down if they aren’t able to seriously lower the emissions of these entry-level models. For them, electric is now the only way to go, and the market should expect to see and feel the electric ‘shock’ even sooner because of this. Of course, while the apex predators of the automotive world are not immune to the electric sting, this didn’t stop them from producing some jaw-dropping concepts at Geneva. 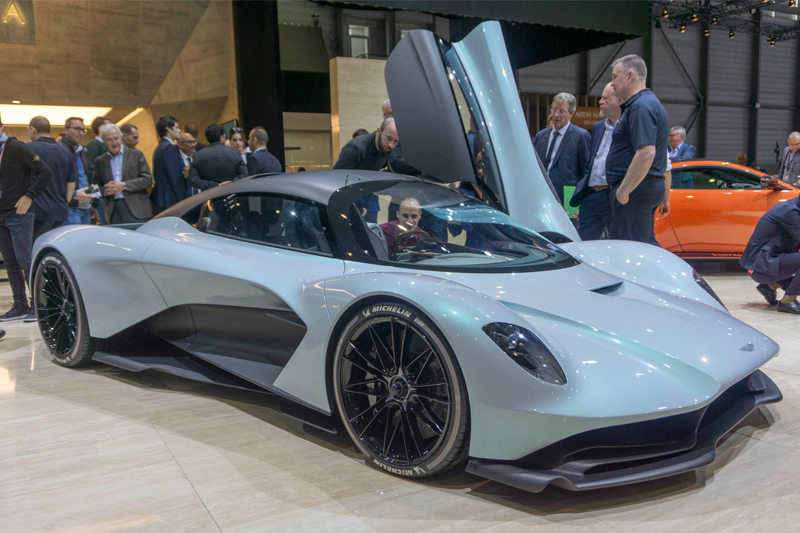 Aston Martin was one of the show’s real stars, with three new hypercars on debut that each packed a hybrid punch. 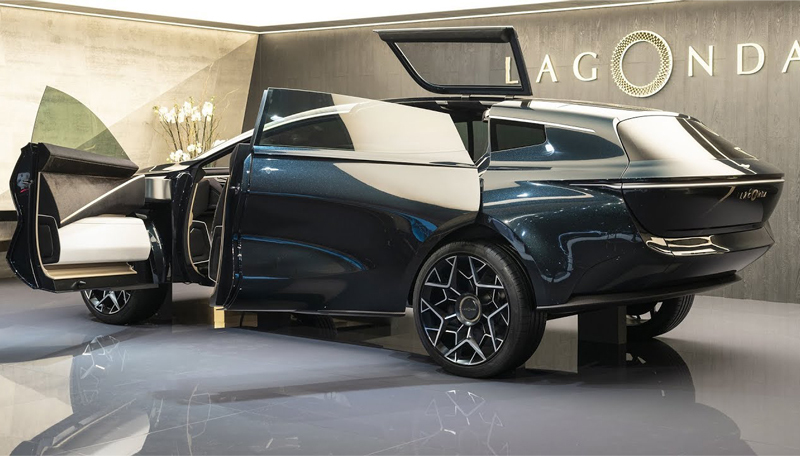 On top of that, the company also produced an updated version of its all-electric Lagonda concept, a re-interpretation of the luxury car for the electric age. With its rakish proportions, this car is perhaps the first electric model mooted for production that takes full advantage of the packaging potential offered by battery-electric technology; it redefines the basic notions of luxury car interior architecture, and in doing so, sets a template for others to follow. And that, I think, is an excellent metaphor for the Geneva Show as a whole. All these electrified models may, in isolation, seem a bit radical, but they are only the tip of the iceberg. A battery-assisted juggernaut is about to descend on the automotive industry, which will demand of technicians a new approach to training and a new approach to business. In a sense, professionals in the aftermarket will face the same challenge as the automakers: adapt and thrive, or stall and risk the consequences. For years, we have spoken about the electrified automotive ‘tomorrow’. If Geneva proved one thing, it was that ‘tomorrow’ is here.